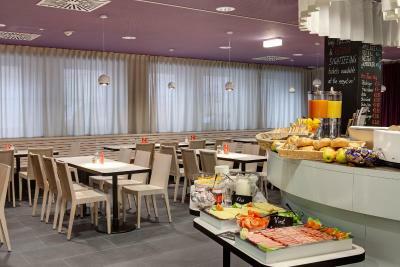 Lock in a great price for MEININGER Hotel Wien Downtown Sissi – rated 8.4 by recent guests! Proximity of the city centre, very quiet neighbourhood, good connections to public transport. Best deal in an expensive city. Location may seem far but it's really close to the center. 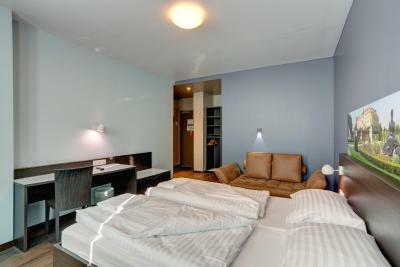 The room was spacious, very clean and the staff was very friendly and helpful! The best hotel we stayed at and excellent value! The rooms were big enough for our group of 4 and it was very clean. 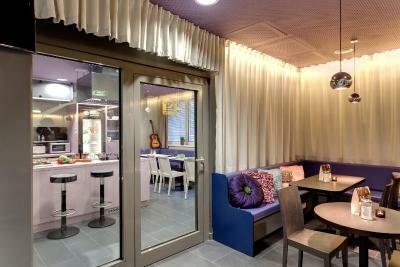 Nice hotel that gives you just what you need to visit Vienna. The staff was really helpful and available 24/7. The stay at the hotal was very good, the only thing I would like to see next time is a mini kettle and a mini fridge in the room and more cleaning of the floor in the guest kitchen. But other than that everything was great. 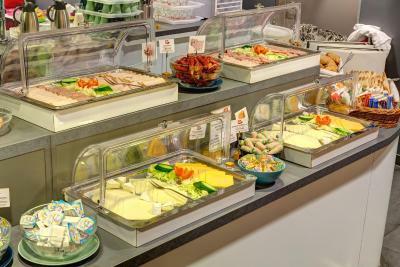 The location is very good, reception service is exceptional and staff was very friendly too. The fact that the hotel had a guest kitchen was very nice. 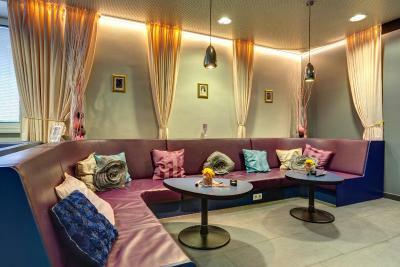 I would surely stay at Meininger Hotel for my next say in Vienna. 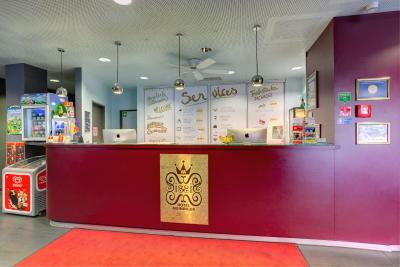 MEININGER Hotel Wien Downtown Sissi This rating is a reflection of how the property compares to the industry standard when it comes to price, facilities and services available. It's based on a self-evaluation by the property. Use this rating to help choose your stay! 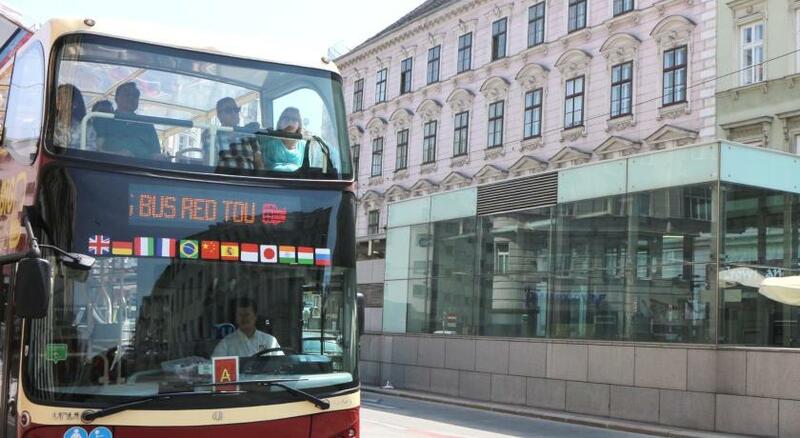 One of our best sellers in Vienna! 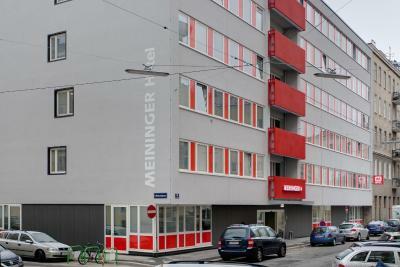 The Meininger Downtown Sissi is in the Leopoldstadt District, a 10 minute walk from the Schottenring subway station. The modern rooms with private bathrooms are all soundproofed. Wi-Fi is provided free of charge. 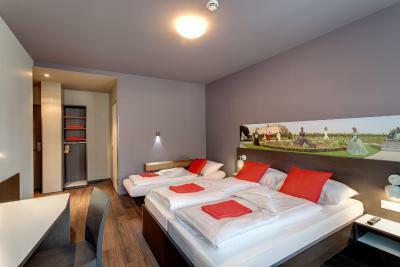 Each of the rooms at the Meininger Downtown Sissi features modern interior design. The modern bathrooms are spacious and bright. 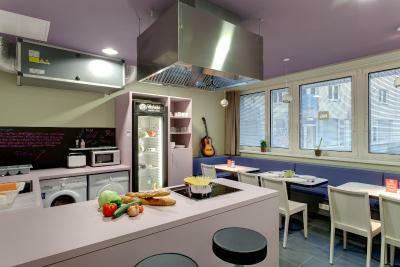 Hotel Downtown Sissi features a common kitchen which is at guests’ disposal. 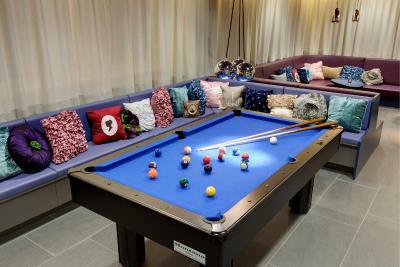 The sleek and modern bar is a great place to play a game of pool or meet fellow travelers. Guests can rent bikes directly at the 24-hours front desk. Popular nearby attractions include the Prater Amusement Park with its Giant Ferris Wheel is one mile to the east of the hotel. 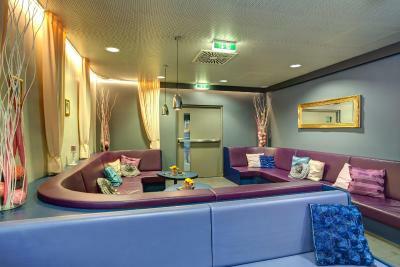 When would you like to stay at MEININGER Hotel Wien Downtown Sissi? Please note that different cancellation policies (see Policies) apply for groups of 11 people or more. The hotel will inform you of these policies following reservation. 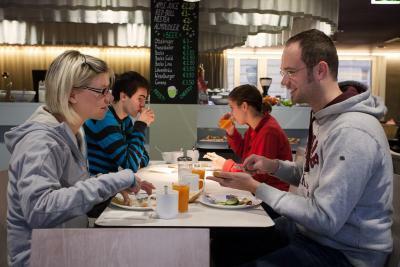 Private parking is available on site (reservation is needed) and costs EUR 19.50 per day. 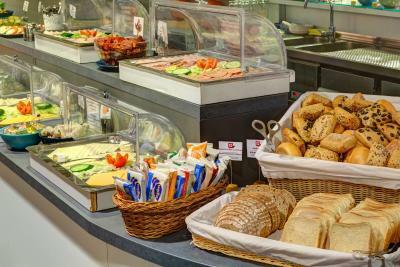 MEININGER provides the service and comfort of an international budget hotel with a combination of regular and multi-bedded rooms, guest kitchens and game zones. 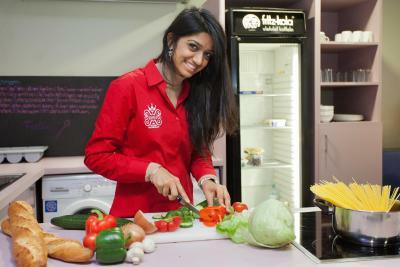 The central location & good value appeal to a variety of business and leisure customers. 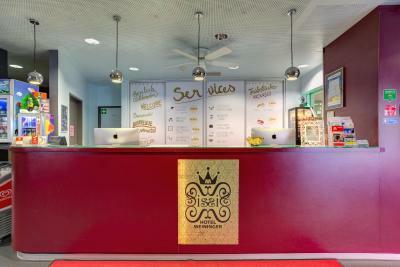 House Rules MEININGER Hotel Wien Downtown Sissi takes special requests – add in the next step! When booking for more than 11 people, different policies and additional supplements may apply. MEININGER Hotel Wien Downtown Sissi accepts these cards and reserves the right to temporarily hold an amount prior to arrival. Please note that different policies apply for groups of 11 people or more (see Policies). Free cancellation for groups is only possible up to 60 days before arrival. 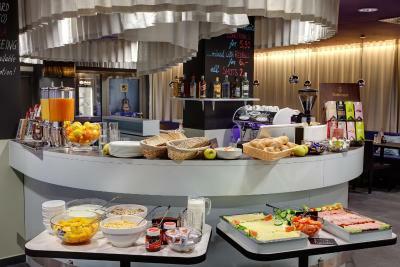 The hotel will provide you with more information following reservation. Please note that there is only a limited number of private parking spaces available on site. Please note that the property cannot accept payment by Amex cards. The room 511 had a balcony that could not be used. There were a few empty plastic bottles on the terrace that had not been cleaned because of the impossibility of using it, and at night the wind moved them and made an unpleasant noise. Small room and dark-colored color - very suppressing! 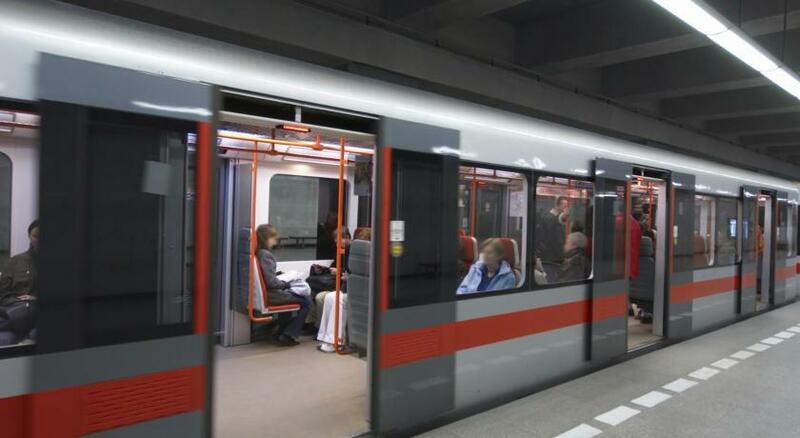 Good location, 15 min from the city center and 10 min from the shuttle bus to the airport. The room booked was not the one in the original booking pictures. However the new room was clean and had everything we needed, it was just a little smaller. The room and bathroom could have been cleaner and better lit. The walls scream for fresh coat of color and windows need washing, as well as the curtains. The atmosphere in the room is kind of dark and a bit depressing, but all in all you have everything you need for a decent stay. This was my second time in the hotel and I returned because of its location (15 min walk to the city center) and value for money. 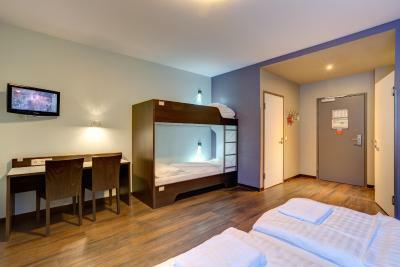 Vienna is quite expensive when it comes to accomodation so this is a good compromise. It has its own parking which was very important to me. The staff is friendly. Theay have guest kitchen!! Superb! The rooms look kinda sad and stiff. I think the hotel would need some redesign so it would feel more welcoming. Far away from everything, the closest stagion is 15 mins away, poor service, charging for everything, no refrigrator in the room, no coffee machine, no adapters provided, plus prices downstairs are very very expensive, everything nearby close by 6 pm.. In addition, staff are really rude. The furniture somewhat simple, but totally fine given the price. Still very good! 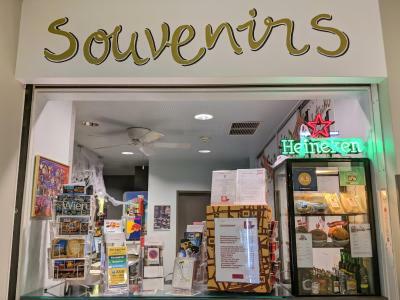 cleanness ,well equipped rooms, nice beds, Main attractions are easily approachable from hotel, not too far from airport, Airport bus stops just 10 minutes walking distance from the hotel. Very nice location, although it is quite close to the center , neighborhood is very calm . It takes just 15 minute walk to St. Stephen's cathedral and pretty close to other attractions as well. Staff was very helpful and the room was very clean and comfortable. Very good deal for the price we paid. Parking and near city center. Great location, very near the canal. Supermarket behind the hotel, and not far from 2 metro stations. We had a special kitsch room, which was quite entertaining! 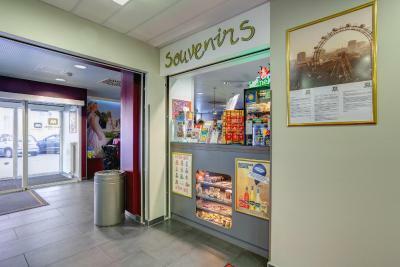 The hotel had loads of facilities, although we were mostly out as there is so much to see and do in Vienna, so apart from them luggage store on the day we left, we didn’t actually use any of them! It is a bit far away from city center.